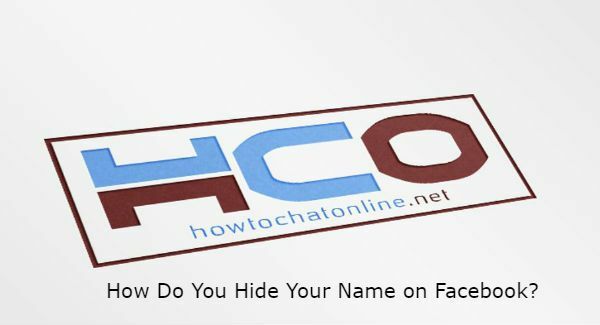 How Do You Hide Your Name on Facebook? Actually the question should be can you hide your name on Facebook instead of how since you can’t hide your name on Facebook. This option has never been on FB and we don’t think that there will be an option like this. However there are still things you can do for maximum privacy. You can’t hide your name from the search of the website but you can do it for Google Search Engine. We are going to give more information on this below. See Also: How to Show Relationship Status on Facebook Profile? Go to official website of Facebook. Click on Facebook menu arrow. Search for Privacy button at the left sidebar of the settings page and click on it. You can hide your statuses from everyone or you can limit it with your friends. You can review pictures or posts when people tag you. You can hide your friends from public. You can hide your phone number from people. You can set who will see your email address. Also see our tutorial for hide facebook profile from profile. Unfortunately there is not an option for removing your name or hiding it from Facebook. So you can do the alternative options which we have provided for you above.